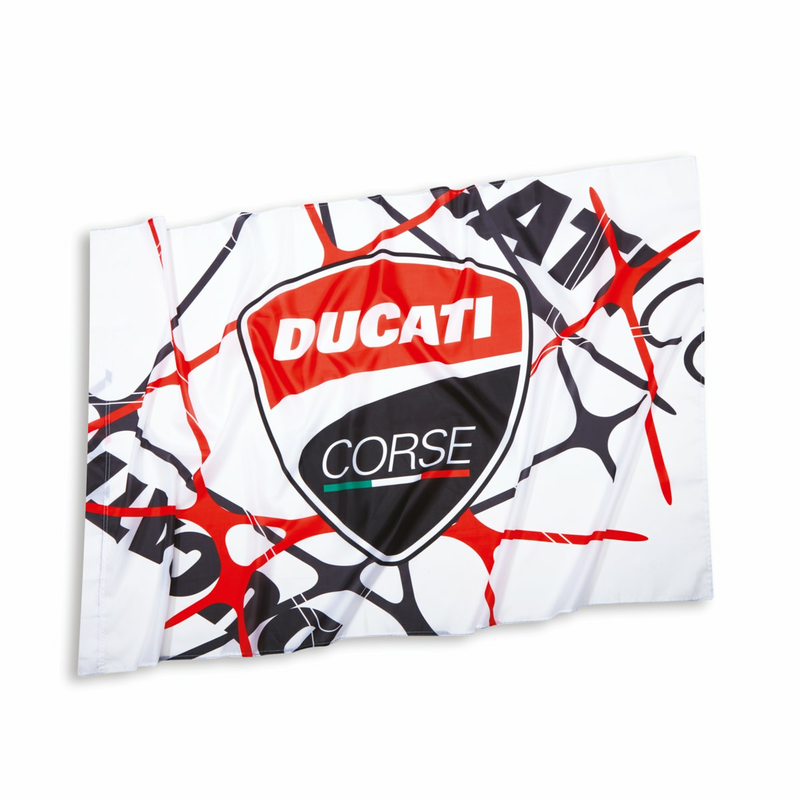 You too can fly the Ducati flag! Made of 100% polyester, it features futuristic graphics that underline a contemporary look. Ideal for showing off your great passion for Ducati at the track. Measurements: 148x96 cm.